Over the past 10 years I’ve taken photographs at many different outdoor events including major ones such as the Bristol Harbour Festival, St Paul’s Carnival, Bristol International Balloon Fiesta and many others. It’s always such an interesting experience to photograph these and try to capture the essence of the events both from the point of participants and the crowd. 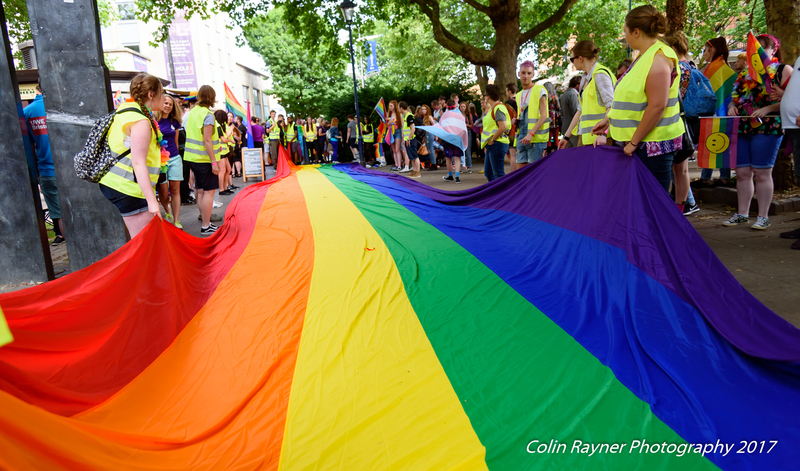 One event I’ve not been able to attend in previous years, due to clashes with others, is the Gay Pride procession in Bristol. This forms part of the culmination of a week of events celebrating all things LGBT. 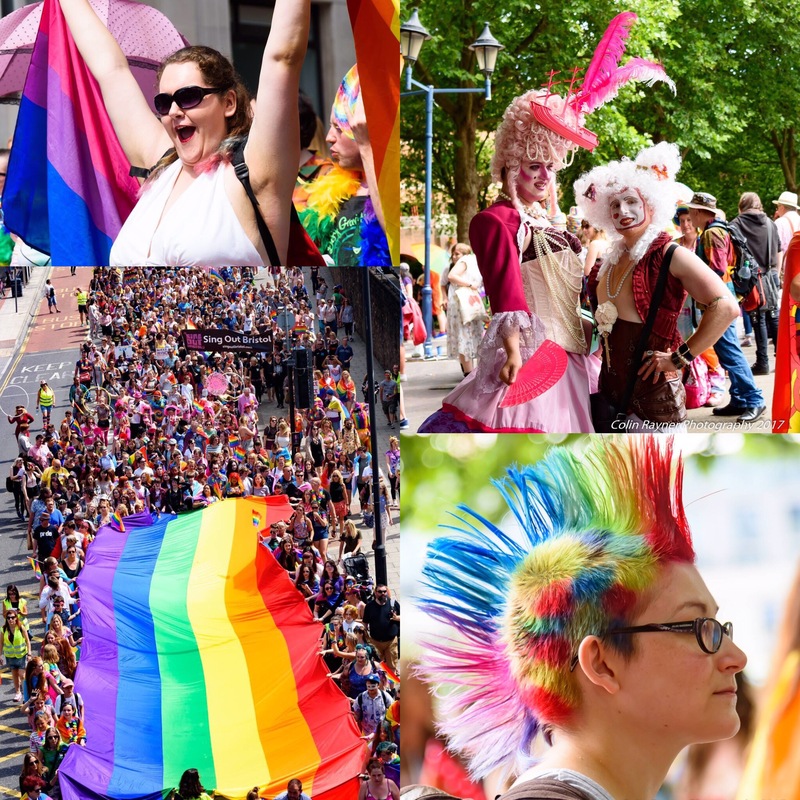 The procession takes place in the centre of Bristol and this year involved thousands of people of all ages, producing a fantastic colourful event. What I didn’t expect, as a casual viewer, was what an incredibly uplifting experience it would turn out to be. There was so much joy and happiness around, and all ages from quite young children to senior citizens. And everyone was quite happy to have their photograph taken. There were so many people who had ‘dressed’ for the occasion (some very bizarre of course), and the colours were incredible, featuring of course the well known LGBT rainbow colours. The procession convened in Castle Park, so there was ample opportunity to take individual and group shots, both candid and posed. Then the procession made its way through Broadmead, so the chance to get more shots. The procession was to pass under a footbridge so that was the opportunity to get some wider images including the giant flag which was at least 50 metres long. Then I rejoined the procession and mingled as it made its way to its finish. And the stewards were all friendly and made no attempt to be officious, which can be the case at such events. This was such an uplifting experience and a great opportunity for some colourful photographs. The full album of images is on Facebook here. Technical – All on Nikon D750, with Nikkor 24-120 zoom. Mostly 1/400th sec at ISO 100. To specialise or not to specialise ? If life gives you lemons …….